Feeling down the past two days with a cold/chills. Congestion/running nose/sore throat. Still though, I'm going stir crazy, this helped past my time. A lot of assumptions with this mock. Nothing really out of the "realm" of possibility... I didn't trade Stafford, or sign 4-8 high priced players. No major trade. I didn't exactly do what I would do personally. Lions hire Jason Garrett as Offensive coordinator and Assistant Head coach. Lions hire Doug Marrone as the Offensive-line coach. Lions hire Nate Kaczor as Special team’s coordinator. Lions hire Tom Shaw as Strength and conditioning coach. Lions restructure WR Marvin Jones, CB Darius Slay, and DT Damon Harrison to save around 12 million dollars all together. Lions cut OG TJ Lang. Lions cut OG Kenny Wiggins. Lions cut OG Joe Dahl. Lion cut S Glover Quin. Lions cut K Matt Prater. Lions sign OLB Trey Flowers to a 5 year deal worth 47 million dollars, 9.5 million dollar signing bonus, 7.5 million dollar salary. 30 million guaranteed. Lions sign OG A.J. Cann to a 5 year 28 million dollar deal, 6 million dollar signing bonus, 4.4 million dollar salary. *22 million guaranteed. Lions sign OT Jordan Mills to a 4 year deal worth 18 million, 3 million dollar signing bonus, 3.5 million dollar salary. * 8 million guaranteed. Lions sign OG John Miller to a 4 year deal worth 10.5 million, 1.5 million dollar signing bonus, 2.25 million dollar salary. * 5.5 million guaranteed. Lions sign WR Cole Beasley to a 3 year deal worth 12 million dollars, 1.5 million dollar signing bonus, 3.5 million dollar salary. Lions sign WR Devin Funchess to a 2 year deal worth 7 million dollars, 2 million dollar signing bonus, 2.5 million dollar salary. Lions sign DT Malcolm Brown to a 2 year deal worth 7 million dollars, 750k dollar signing bonus, 3.125 million dollar salary. Lions sign TE Jesse James to a 2 year deal worth 6.5 million dollars, 2.5 million dollar signing bonus, 2 million dollar salary. Lions sign CB Bene Benwikere to a 2 year deal worth 3 million dollars, 750k dollar signing bonus, 1.125 million dollar salary. Lions sign OLB Lorenzo Alexander to a 1 year deal worth 2.5 million dollars, 800k dollar signing bonus, 1.7 million dollar salary. Lions resign QB Matt Cassell to a 1 year deal worth 1.25 million dollars, 125k dollar signing bonus, 1.125 million dollar salary. Lions resign TE Luke Wilson to a 1 year deal worth 1.25 million dollars, 125k dollar signing bonus, 1.125 million dollar salary. Lions resign LS Don Mulbach to a 1 year deal worth 1.25 million dollars, 125k dollar signing bonus, 1.125 million dollars salary. Lions resign RB Zach Zenner to the league minimum. 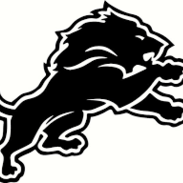 Lions resign RFA's DE/OLB Romeo Okwara, LB Trevor Bates, DB Charles Washington, and DB Michael Ford. Defense: (3/4) (4/3) hybrid defense. Secondary scary thin again. Like you aggression with the ol but might be to much.. I didn't really address the secondary. I tried adding pass rushers on pass rushers to help our secondary out a bit. With how the game is called, etc, I don't like spending tons of money on coverage when guys can't cover long anyways. Just me personally, the best coverage for any team is a great overall pass rush. I tried doing that by drafting/signing guys like Brown/Tillery/Flowers/Alexander/Burns with who we already had in Kennard/Okwara(RFA). I tried getting guys scheme versatile too. Offensively I tried to copy what the Bengals did a few years back spreading talent all over for Dalton from TE/RB's/and real depth at WR. Obvouisly not as talented as Eifert/Green but collectively I think the above group is solid. I think I always do an over-kill on Oline, but I really don't care. Guys get hurt, etc, it's not the worst thing to have 6-8 real competitive guys going for starting jobs on any teams O-line. As far as Haskins, I'm not sure what you're pointing to specifically. I think he's got a little better "touch" than Stafford with more than enough arm to zip it there when needed. Idk if you're talking about decision making, etc, you'd have to get a little more specific for me to really engage. I don't expect him to start early but if Stafford continues his down trend with team improvements... Then well we've got a guy in the system that's a leg up, and if Stafford bounces back and does good for us... well then we have a good problem for the first time in a long time! I couldn't agree with this philosophy more. I hope that's the route they take. Just curious but who do you say does this route? Who prioritizes pass rushers? I'd say Chicago is a good example from just this year. They sure don't total avoid secondary..
Pittsburgh feels like a better example.. Bit of a exaggeration don't you think with Slay/Diggs starting? It's at least an average secondary right now imo. A lot of players are hurt currently/playing knicked up. Yeah, Lots of teams have done it with success like Pittsburgh/49ers with Harbaugh/Bengals/TB when they won a SuperBowl/Giants/Houston to a certain extent and I know Ramsey gets alot of attention from the Jags but I think they were nicked named SacksonVille for a reason. Doesn't mean success totally cause you need to pick the right guys and sign the right players but... Idk, with the way they call things like pass interference, etc, on defensive guys the most successful way I see to combat an offense/great QB's right now is by making them one dimensional and letting loose your hounds(pass rushers) minimizing time for WR/QB's to work. We've got built in run stoppers with Harrison/Hand. Supplementing them with decent run blockers and good pass rushers should just help the defense overall, especially the back 4. Adding those type of guys gives the Lions a chance to sign/draft DB's in lower rounds and bring them up slowly vs thrusting them into a situation immediately. * It's just a personal philosophy doesn't mean you're wrong either for wanting a stable of DB's, they get hurt easily, and the L.O.B. was pretty good. In saying that though it's been awhile since we've seen a single DB like Revis/Asomuagha/Deon in a long time. Where a whole defense can be schemed around a single defensive back player. Hard to get a player like Mack too or Donald, etc, but if Lions can pair Harrison with a solid pass rush overall I think the defense can be devastating when the team has a lead. Based on the numbers since the Harrison trade, it's hard not to assume the Lions run defense might be stronger next year with new/better players around Harrison. Our secondary has been avoided? We've got a all pro level #1 in Slay, a very good SS in Diggs, we just invested a 3rd in a FS that's showing promise to take over for Glover next year, Agnew has looked good in the slot and has a lot more room to grow, and we've had success with Lawson at times without a pass rush. I also never said we couldn't add to the secondary. If there is value there, by all means, add to it. However, if there are two players with similar grades available with the same selection, they should prioritize the pass rusher over the defensive back. And walker has shown enough not to have a decent back-up..i like walker but dam seems like your asking a lot. One injury your screwed..other ways to accomplish a pr not so easy to find guys who can cover people. Don't get it twisted tho bc I want some pass rushers too..
WE HAVE NO CBs... nothing signing guys off the streets it seems every year.. saftey ah we will just move guys around..